Derrick Kosinski & Scott Yager are joined by Devyn Simone. Derrick (@DerrickMTV) and Scott (@SHOTOFYAGER) get Devyn's expert insight on who the perfect matches are for some of the current and past Challenge stars, whether ... See More castmembers are doomed from the start, her past experiences and she even weighs in on Derrick's prospects in the dating pool as well. Find out if Devyn would do another #Challenge, if she's been approached recently and if there is more hosting on the horizon after her appearance on the aftershow last week! 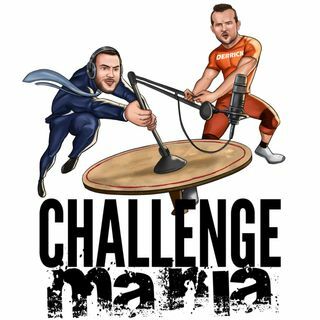 Head to www.ChallengeMania.Shop to score YOUR podcast gear today!